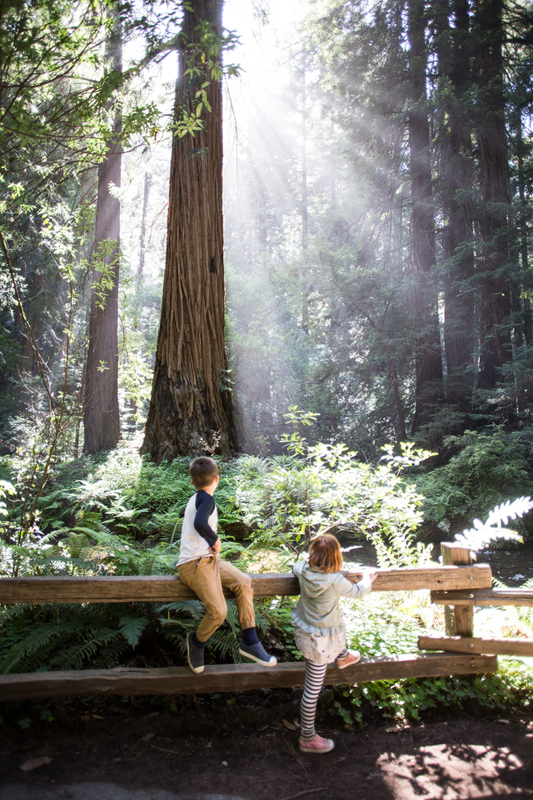 20 Great Activities for Kids in the Bay Area- Live Free Creative Co.
As long as I can remember, the Bay Area has been one of my favorite places to be. 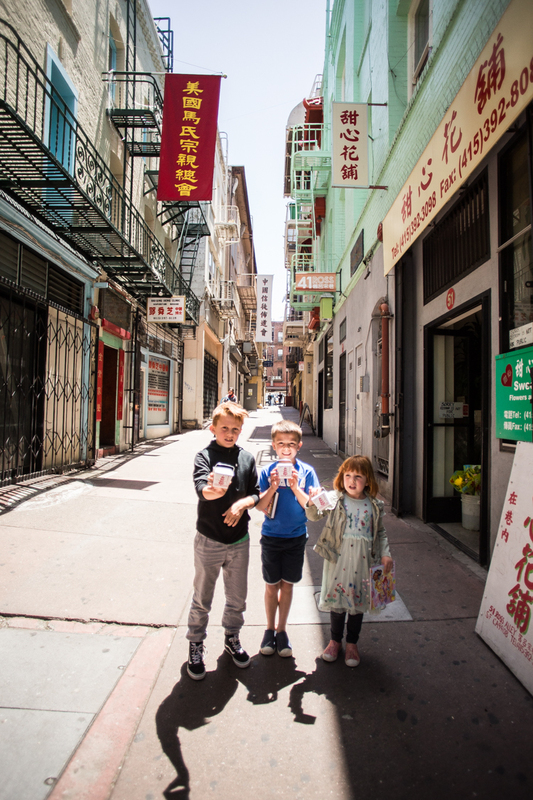 I fell in love with San Francisco as a kid, and was so excited to visit last month with my own three, school-aged kids to explore the town. 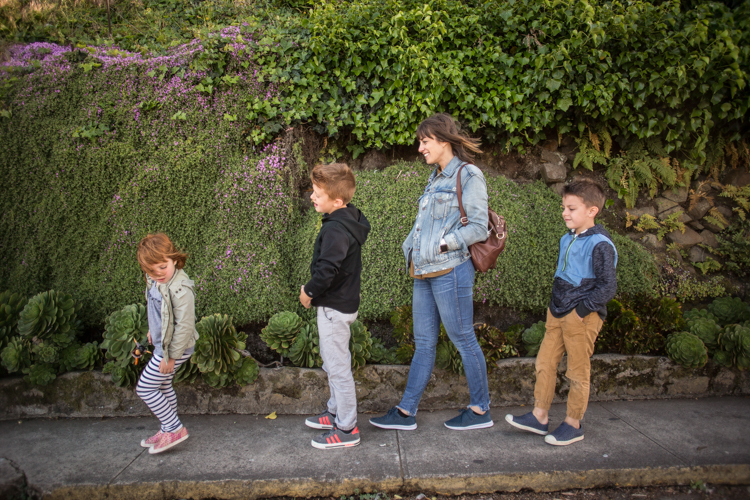 Of course, traveling with kids is very different than traveling as an adult, and our itinerary looked a little different as well. 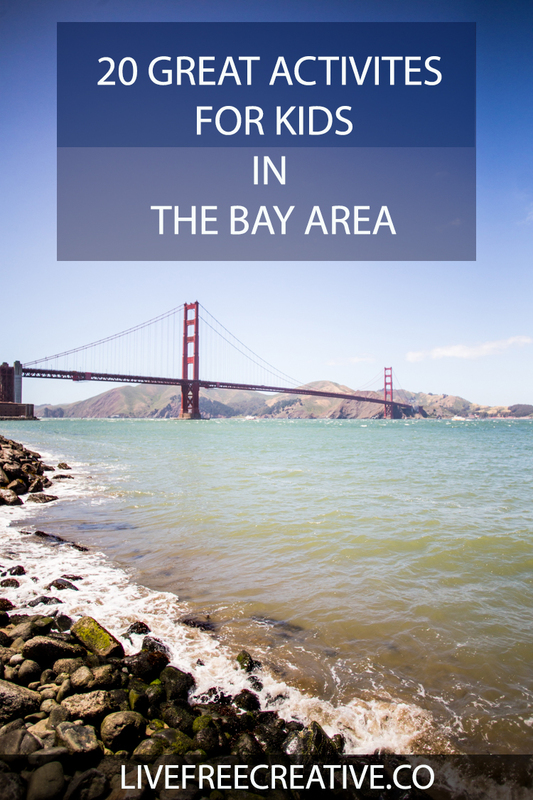 I’ve put together this list of 20 great activities for kids in the Bay Area that mine really enjoyed, and I’ll bet yours will too! We began our trip with a kid-friendly direct flight from DC to San Francisco. We were excited to partner with Alaska Airlines, who flies direct from all three of the DC area airports (including IAD, DCA, and BWI!) and not having a stop somewhere in the middle made the long, cross-country flight so easy. My kids also stayed entertained on the flight with a huge selection of free, in-flight entertainment. We all loved the meal and snack selections on board, as well. The cheese plate is my favorite. It was great to have a smooth flight, and hit the ground in San Francisco ready to start on our list of family-friendly activities! 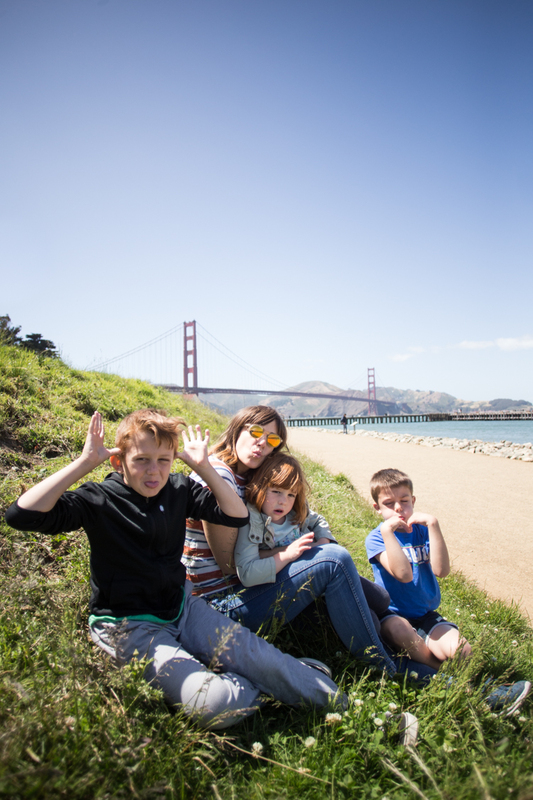 On this family trip to San Francisco, we planned our whole vacation around the kids being happy and entertained. 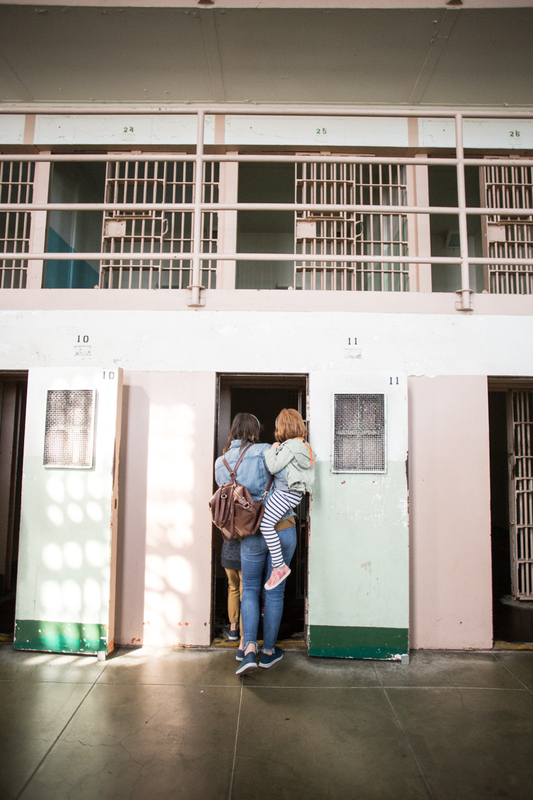 We wanted the visit to be a family bonding adventure, where we could all learn, discover, and play together. We found that some of our very favorite activities are kid friendly, and added a bunch of new more kid-centric activities to the list. 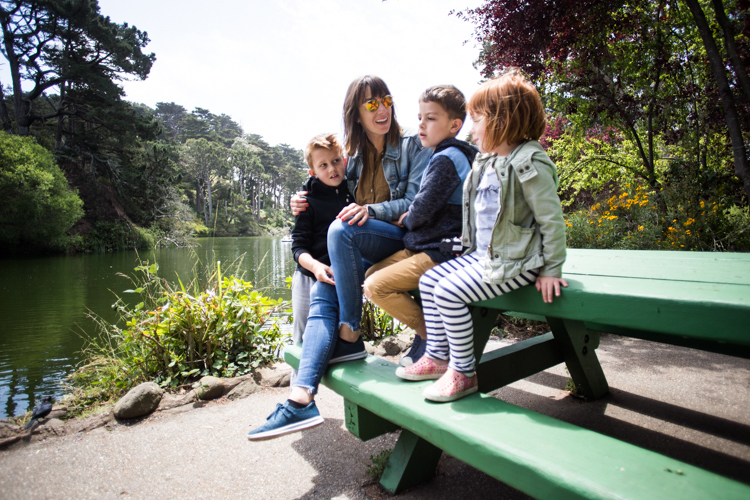 Here are our favorite activities for kids in The Bay Area. We are already excited to go back soon and explore some more! 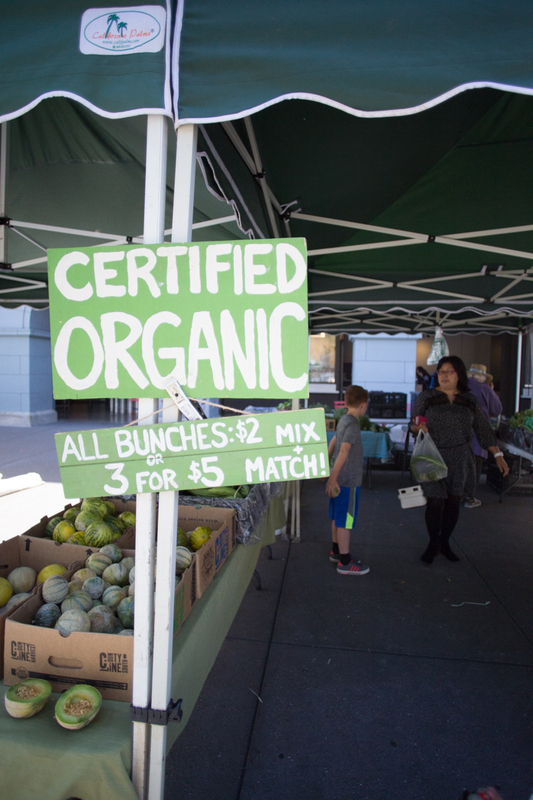 The Farmer’s Market at the Ferry Building has always been the top of my list when visiting the Bay Area. The vendors bring piles of fruit, vegetables, roasted nuts, cheeses, yogurts, and every other imaginable food. The kids loved seeing the variety, and I asked them each to pick something they had never seen or eaten before so we could try some new produce. Beyond the farmer’s market (which operates, Tuesday, Thursday, and Saturday) the Ferry Building itself is a really wonderful culinary experience. It is definitely worth a visit. 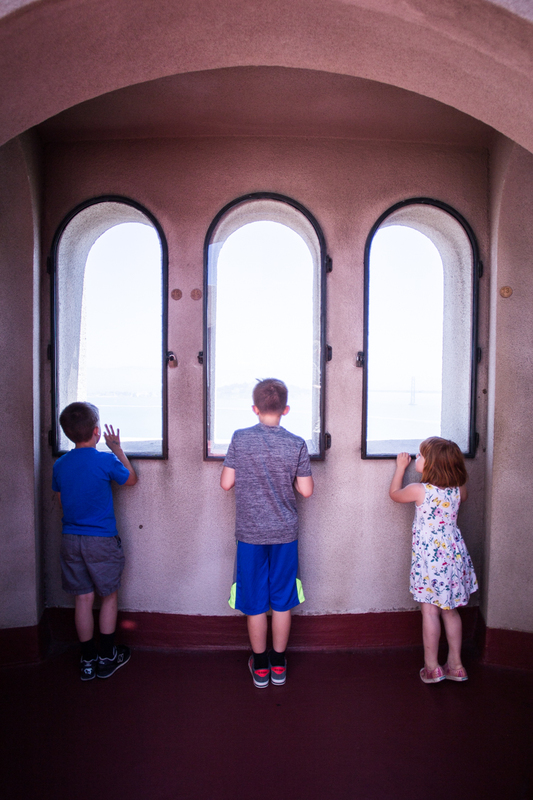 We had heard mixed reviews about Coit Tower–some said the view was just as great from the parking lot as from the top. I am so happy we went all the way up! 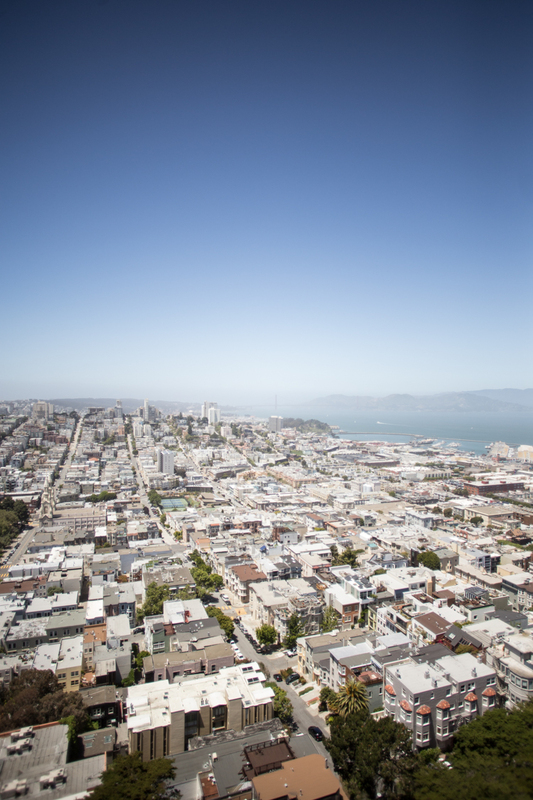 The 360 degree, open air top level of the tower offered incredible, unobstructed views of the city and bay. 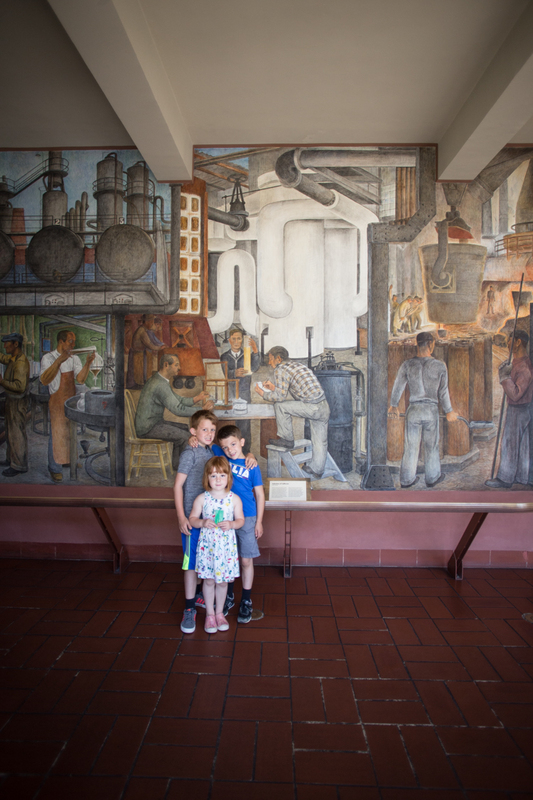 We loved the murals painted along the walls in the foyer, and even enjoyed the quick elevator ride up to the top. So many big city sights are just that–sights. That can be hard for kids to understand, so we tried to turn all of the “sights” into activities. Our kids have been really into Fuller House, and totally recognized the Painted Ladies. They also loved rolling down the grassy hills in the park across the street! 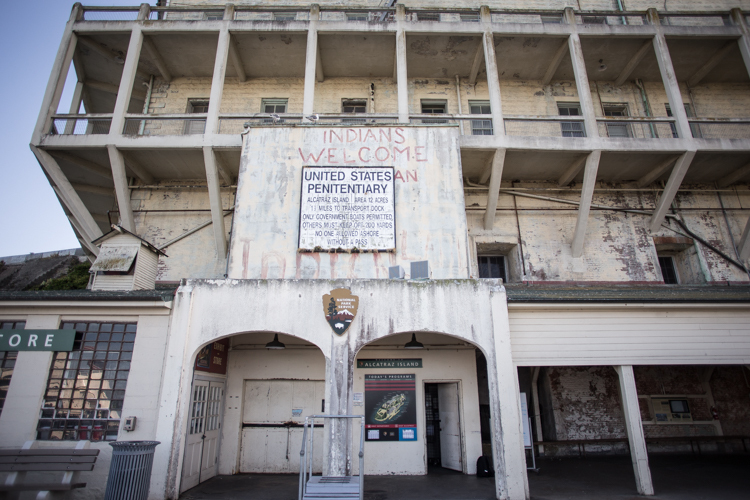 I remember visiting Alcatraz as a child, and was so excited to bring my kids back for the tour. All of us loved the adventure! We bought tickets about a week in advance online, and then showed up at our allotted time. The ferry ride to the island is short and sweet. It was a cooler day, and we bought hot chocolate on board to warm up. Once on the island we watched the introduction video to have some context for the day, then grabbed our headphones and audio player for the audio tour. Even at 6 and 9 years old, our boys were completely entranced by the audio tour stories. I think our family culture of listening to kids audio books and podcasts was good preparation. Our 4-year-old was less interested in listening, but could wander happily, checking out the different cells and displays. I was blown away by the beauty of the the island gardens, building designs, and architecture. Those were all things I couldn’t appreciate as a kid, and I really enjoyed being inspired by the different elements during the tour and after, as we wandered the gardens and grounds. Most of Pier 39 is busy, touristy restaurant chains and souvenir shops. 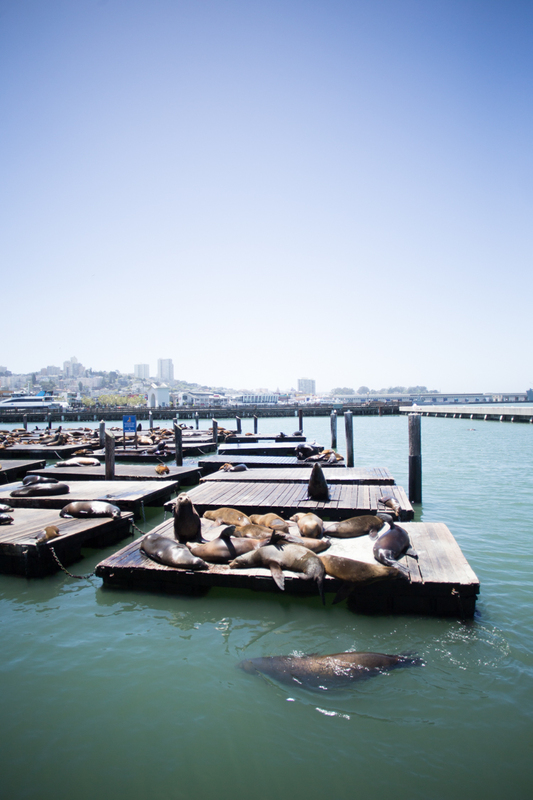 That isn’t totally our vacation vibe, however we did venture down there to see the sea lions that call Pier 39 home. The huge mammals stared lounging in the area years ago and are now protected by the government. This is their spot to hang out, and hang out they do! We saw hundreds, and lots of pups, which were so adorable. We sat and watched them for an hour as we read the sea lion information brochure and learned some fun facts. 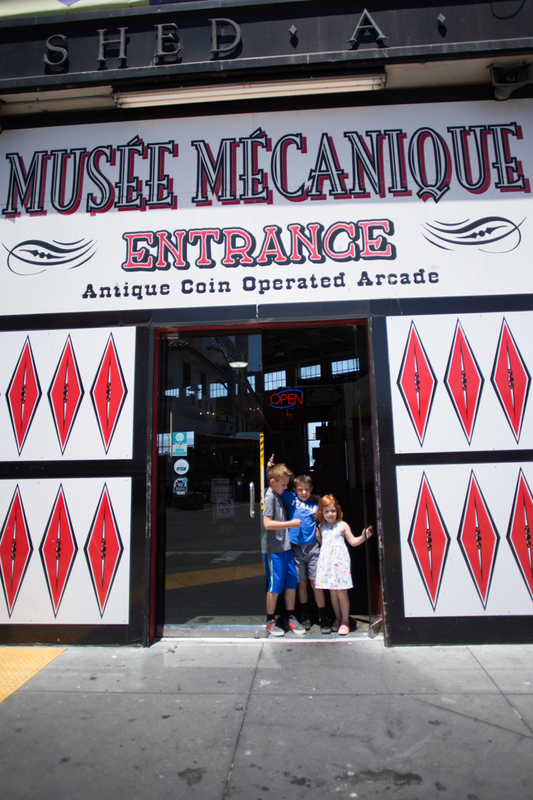 This vintage arcade is a San Francisco staple, and because one of my kids very favorite places we visited! The warehouse is filled with turn of the century quarter games, where little mechanical dolls dance, the old woman tells your fortune, or the baker scoops a small treasure from out of his oven. Many of the games are super weird, and that adds to the charm and character of the place. My own favorite part is the vintage black and white Photo Booth where I had each of the kids make their own photo strip. I plan to frame all 3 together as a sweet souvenir of our trip. Right down the street from Ghirardelli you can hop on a classic San Francisco cable car. We actually didn’t make this one happen on our recent trip, but I remember loving it as a kid and will definitely add the iconic ride to our next visit. Most of San Francisco is known for steep hills, and Lombard street is not only steep, but also super crooked. An architect planned 8 switchbacks in one block, to ease the grade of the street and ended up creating San Francisco’s crookedest street. The kids think it is hilarious and quite a ride. 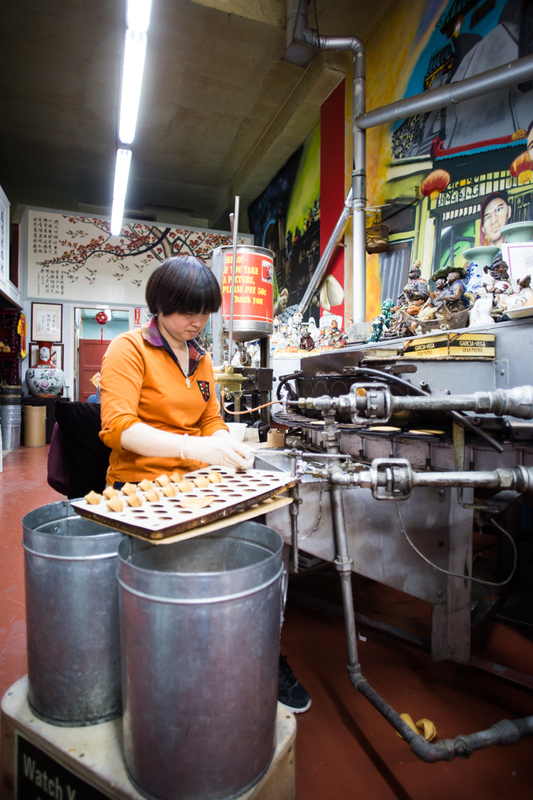 I am so glad a friend recommended heading to this tiny, hidden fortune cookie factory off of Ross Alley in Chinatown. The kids loved seeing how the cookies are made, tasting samples, and they each even wrote their own fortune to have folded into a custom cookie. 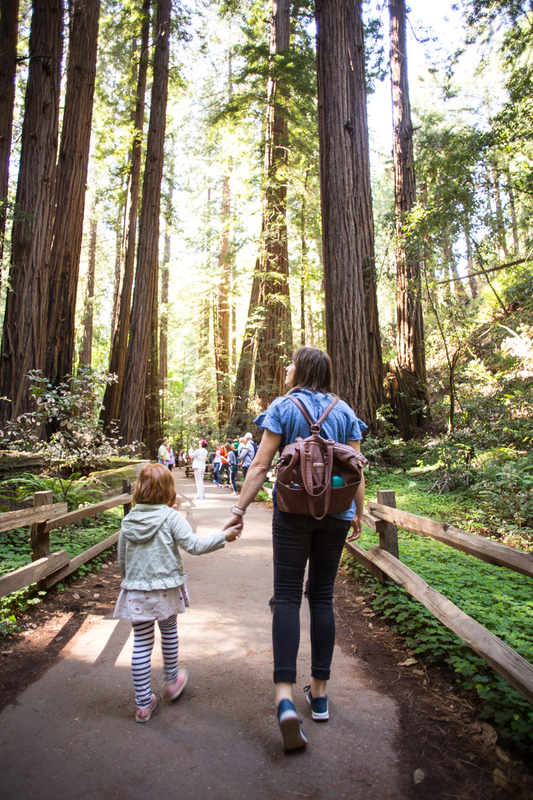 Just a half hour north of the city, you can lose yourself in the Redwood forest at Muir Woods. The parking is limited, and can be reserved ahead of time online to guarantee you a spot. The hiking trails vary from super simple and stroller friendly, to more strenuous and inclined. The trees are otherworldly, and it is a fantastic place to get the kids out into nature running free. Across the Golden Gate Bridge into Sausalito, you find this awesome, outdoor children’s museum. From the moment we walked in the kids were entertained with interactive exhibits. Hula hoops, bubbles, sidewalk chalk, and musical instruments lined the street. The kids climbed and dug in the pirate cove area. We enjoyed a great, healthy, and kid-friendly lunch at the cafe. The whole experience was fantastic and if I lived nearby I would buy a season pass and return often. 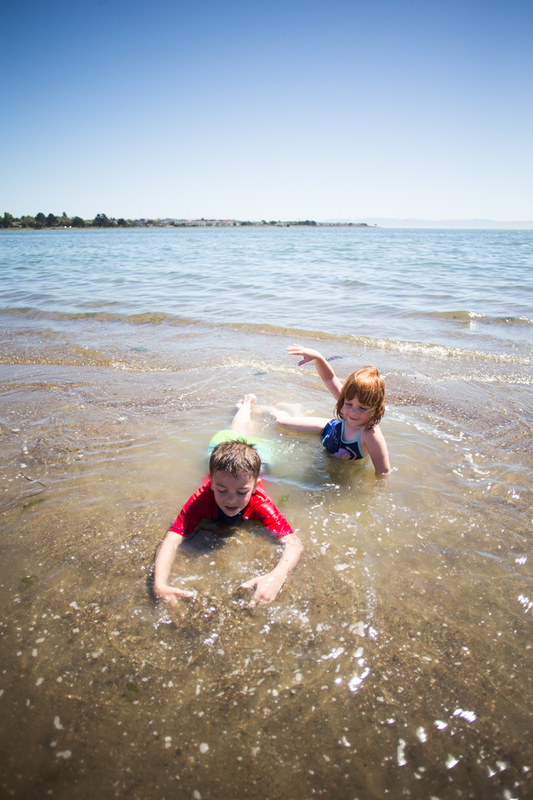 While this isn’t white sand and palm trees, the beach on Alameda Island is perfect for kids! The water is warm, calm, and shallow for a hundred yards or more into the bay! We went with friends and took kayaks, floats, and sand toys and the kids were entertained for hours. With restaurants walking distance behind the beach, we didn’t have to pack a lunch and ate fresh Five Guys burgers while we watched the kids enjoy the summertime sun. 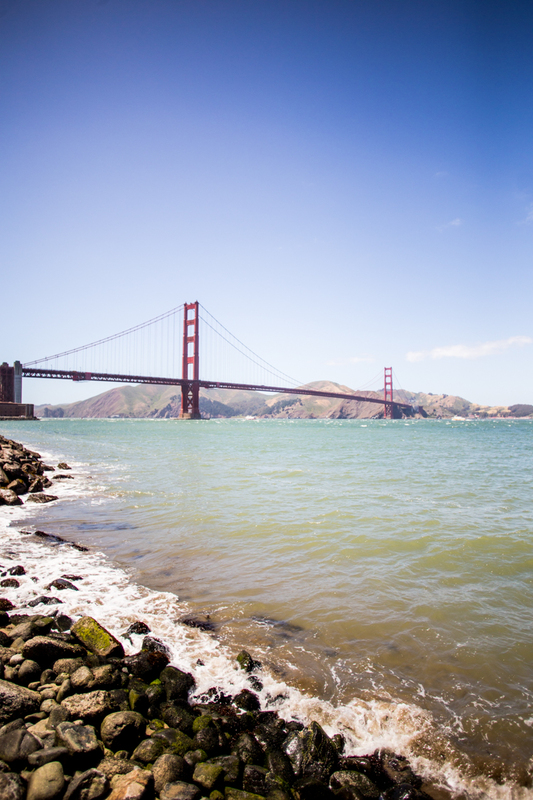 This waterfront park offers beaches, a paved walking and biking trails, a restaurant near the pier, and the most beautiful view of the Golden Gate Bridge! 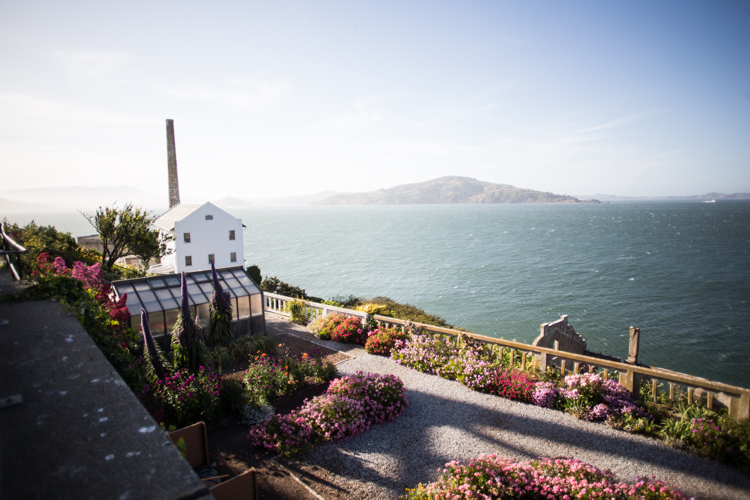 It is one of our favorite spots for picnicking in the Bay Area. The kids love playing in the sand and water, and when we have a whole family of independent bike riders, this will definitely be a destination for a fun, family bike ride. Even if you aren’t a huge sports fan (like me) a night at a ball game is so much fun! The food, crowd, and energy of the game is a lot of fun. 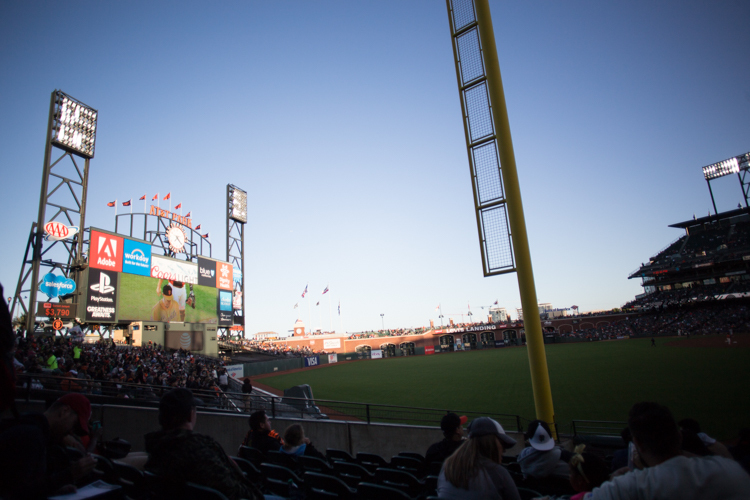 We were excited to see a lot of kid-friendly activities at AT&T park, like a batting cage, huge tube slides, a toddler baseball field where Plum hit her very first home run (with no opponents), and a cable car for kids to play in. This picturesque lake in the middle of Golden Gate Park is a great place to begin enjoying the beauty of nature in the city. We loved the 4-person paddle boat, and were able to slowly make our way around the circular lake, seeing turtles lounging, birds paddling, fish darting, and the fun waterfall and Chinese pagoda that are part of the park. 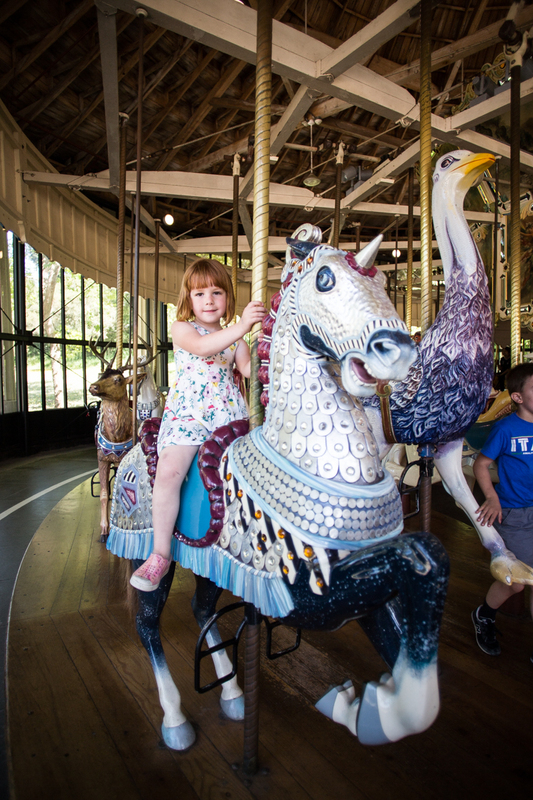 My kids love riding a carousel, and this beautiful historic model in the Koret Children’s Quarter is one of my favorites. The ride is tucked into a building, making it fun in any type of weather! And this park is considered to be one of the first public playgrounds in the nation. The grounds and equipment have been overhauled throughout the years, and are currently really incredible with statues, mosaic, and a full set of climbing equipment for all ages to play on. Our kids had a blast trying all the different sections of the park, including the concrete slides. On the far tip of the peninsula, near Golden Gate Park, you’ll find this windy spot. The Sutro bath (a former upscale swimming area) is visible from the parking lot and easy to see closer up after a set of stairs. If you continue walking along the trail for a bit, you will also get to see the sea caves, which my boys loved. 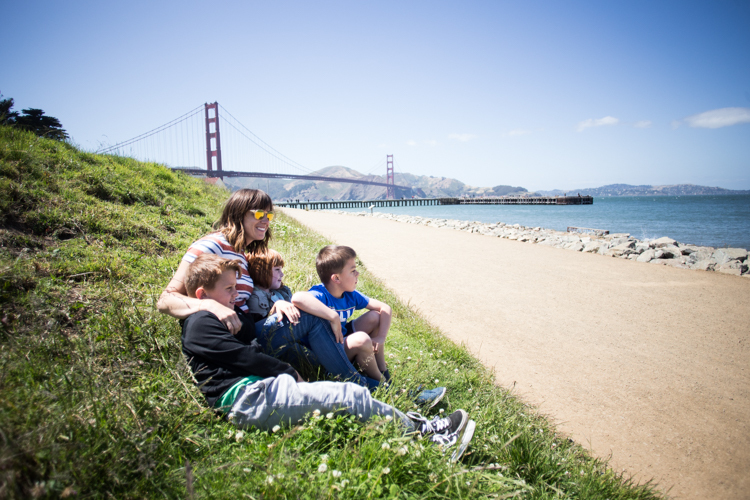 More adventurous families could continue along the trail all the way to the China Beach lookout. 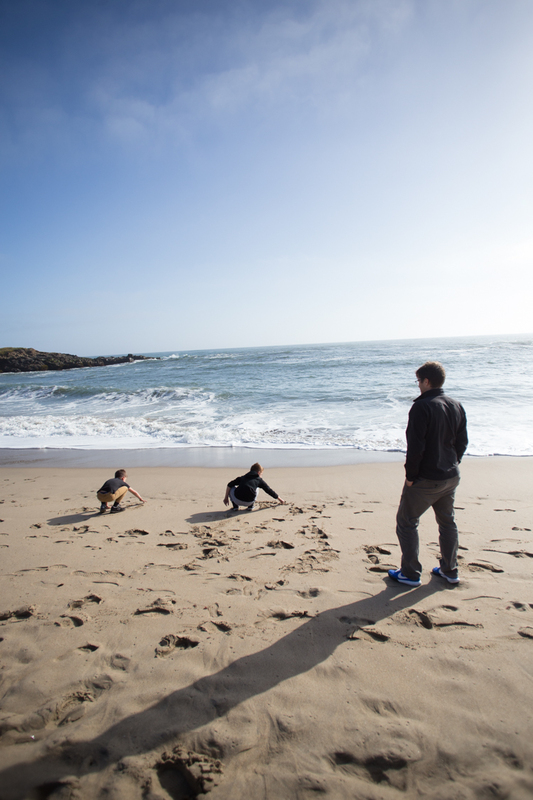 We have family living south of San Francisco, and one of their highest recommendations was to spend a day in Pescadero, eating Olallieberry pie, artichoke bread, and hanging out on the beach. We grabbed sandwiches, pie, and fresh artichoke bread to go from Arcangeli Market, heads down to Pescadero State Beach, and let the kids collect sea shells, chase the waves, and enjoy the view. An unplanned trip activity became an ice cream crawl of the whole Bay Area. We tried scoops at a dozen local shops, and of course the kids were all in. 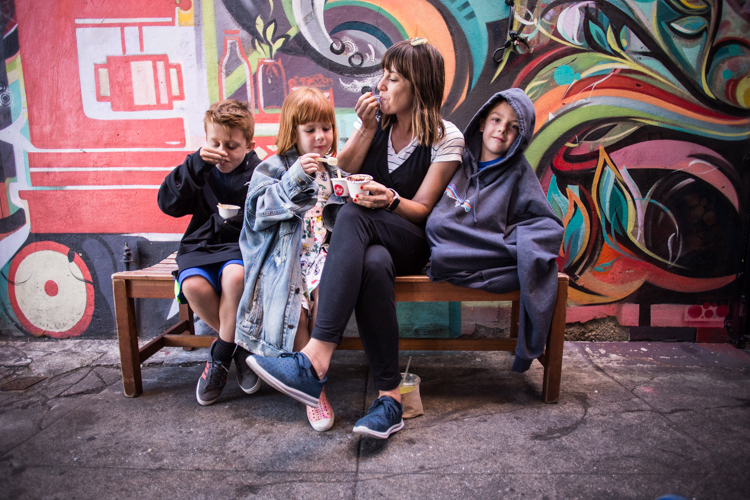 I share my list of 10 places to eat Ice Cream in San Francisco in this post, and you’ll want to hit at least a few on your next trip into the city. After a whirlwind 10 days in San Francisco and the surrounding area, we are even more in love with the Bay Area than ever before. 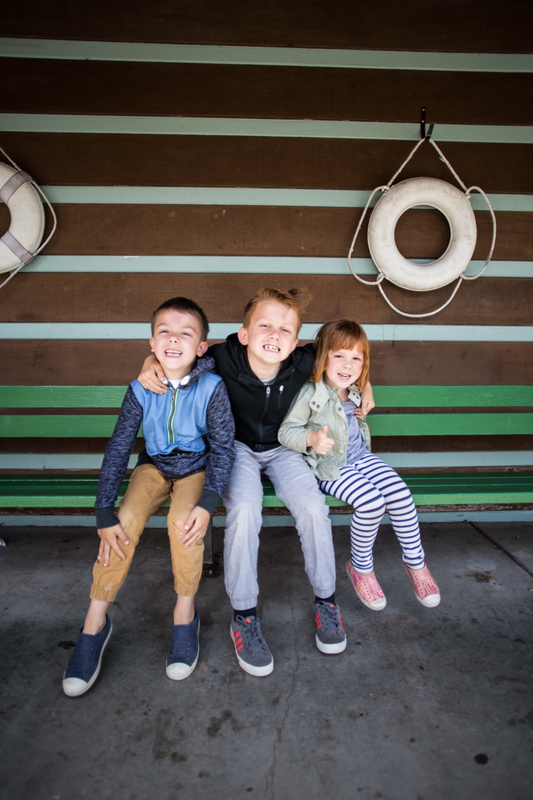 We had a blast exploring with our kids, and are excited to come back soon! Thank you to Alaska Airlines for providing airfare for this adventure. All ideas and opinions are my own.